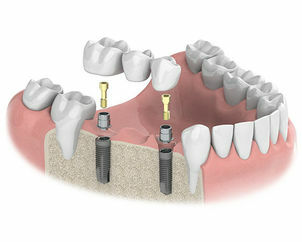 Dental implants bridges are used to replace several teeth. They work by spanning the gap where teeth are missing. 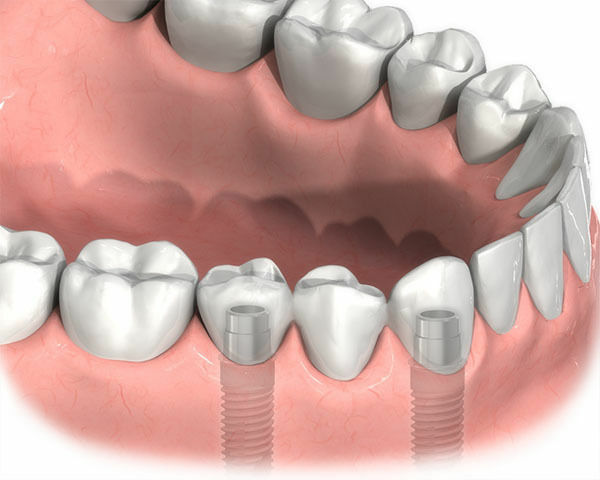 Unlike the standard bridge, where some healthy teeth may be cut down and crowned in order to anchor the prostheses in place, a dental implant bridge is held in place by the implants that have been inserted directly into the jaw without compromising any existing healthy teeth.